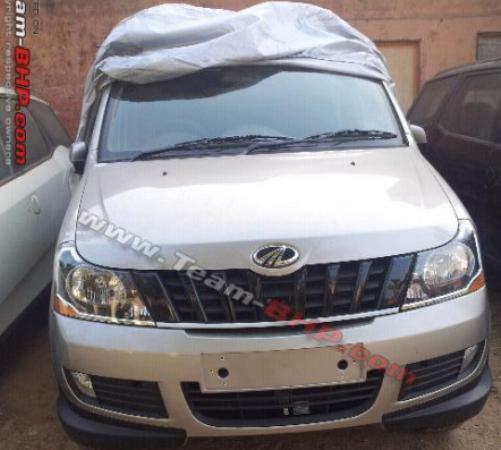 A face-lifted Mahindra Xylo was spotted in a dealer’s stock yard! The Xylo facelift not only gets a design makeover but is also expected to come with the Scorpio’s mHawk engine. Expect a new top-end variant, E9 to be introduced along with the facelift. The Xylo facelift now comes with a clamshell bonnet, a blacked out vertical grille and sharp looking headlamps. The lower air dam has horizontal slats while the fog lamps are housed at the extreme corners of the bumper. Expect minimal changes in the side profile of the new Xylo and at the rear, except for the new tail lamps, most of the design will likely be retained. Overall, the new styling makes the new Xylo look broader and more mature than the present Xylo. 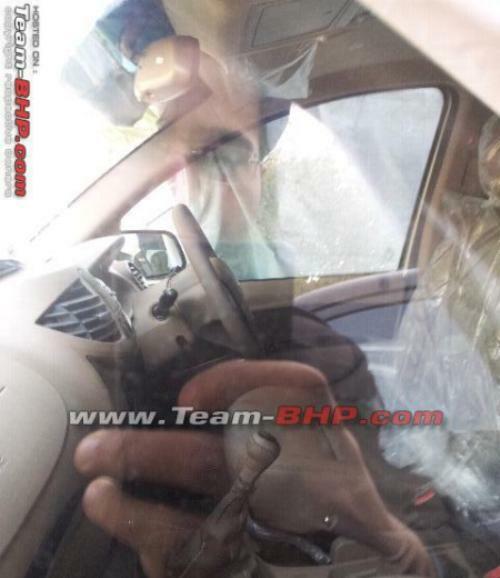 The interior photo is not clear but we hope, Mahindra improves the plastic quality, fit and finish in the Xylo facelift. Expect minimal design changes in the instrument cluster and central console. The Xylo facelift is expected to get the mHawk engine that powers the Scorpio. The 2.2-litre mHawk CRDe diesel motor churns out 120 bhp of power and 290 Nm of torque. At present, the Xylo is powered by a 2.5-litre mEagle CRDe motor that puts out 112 bhp of power and 260 Nm of torque. Hence, if the Xylo facelift gets the mHawk engine, it will perform better than the current model. We expect the facelift changes to come across all variants of the Xylo including, D2, E4, E6, E8 and the upcoming E9. The mini Xylo (5-seater) version which is currently doing testing rounds will most likely have same styling as the Xylo facelift. While the Xylo facelift will likely hit the showrooms in March 2012, the mini Xylo launch is expected in April 2012. « 2012 Fiat Punto variants and prices across five major cities!